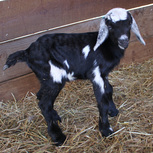 Here you will find all of our sold and retained Mini Nubian Goats from this and past years. To see whats available for sale, click here. May Be Available if buck is found suitable for our breeding program. SOLD Mini Nubian Breeding Group $1900 That's a $750 savings!